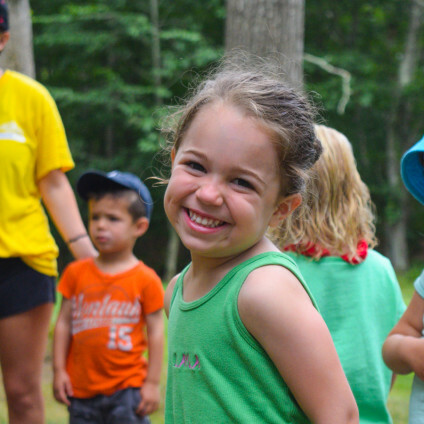 The Only Place For Your Nursery & Pre-K Camper This Summer! Providing a safe, warm, nurturing and FUN environment with developmentally appropriate activities and facilities, the Stepping Stones program is specifically designed to meet the individual needs of each young SCC camper. Introductory Tennis program on USTA (United States Tennis Association) mini har-tru courts. 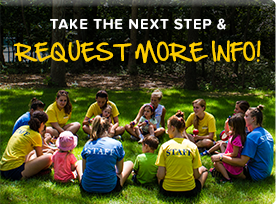 Southampton Camp & Club’s unique Stepping Stones program is the ONLY summer program in the Hamptons specifically designed to provide your child with a developmental edge. 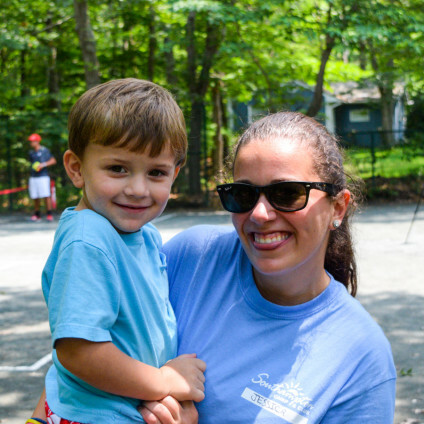 What your child does during the two months of the summer can make a tremendous difference in their development – the skills our Stepping Stones campers learn in one summer form the foundation for success as they transition into their respective school experiences. Developing Core Values – Our recreational and interactive setting provides children with a unique opportunity to learn, practice and reinforce their values. 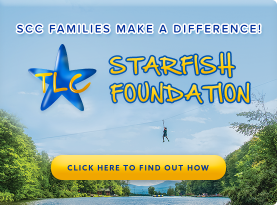 On a daily basis, our team of experienced professionals teach, promote, recognize and celebrate camper efforts to exhibit our STARFISH™ values (Sportsmanship, Tolerance, Appreciation, Respect, Friendship, Integrity, Sensitivity, Helpfulness). Increased self-confidence, self-esteem, and resilience – We pride ourselves on developing an intentionally positive environment which is essential in motivating young children to try to participate in new activities without a fear of failure. Advance social skills and independence – Camp is the perfect interactive setting for children to learn (without the help of their parents) how to communicate, share, and interact while developing relationships with other boys and girls their age. Improved Motor Skill Development – All Stepping Stones campers receive age-appropriate instruction in a variety of athletics with the goal of developing a strong foundation of core physical and movement skills. Increased “self-awareness” – Our commitment to a structured program with small groups and high staff to camper ratios encourages campers to exhibit body control, patience, cooperation, and emotional maturity while learning how to interact on a “team”. “Continued Education” with creative and interactive learning – Music, art, cooking, nature, theatre, dance, imaginative play and more stimulates our campers’ minds and helps to develop their creative skills. We also offer private, individualized, supplemental education services AT CAMP through our Advance! tutoring program which can prepare children academically for a more successful transition into the school year. Best “Learn-to-Swim” Program – We believe that every child should know how to swim and be confident in the water, which is why every camper has American Red Cross swim instruction at camp every day! If you feel your child needs extra one-on-one attention, we offer private and semi-private classes. Every Monday morning is special at SCC with our fun and interactive ‘TGIM’ (Thank Goodness It’s Monday) program. These special events welcome our younger campers back to camp after a weekend at home and include interactive music concerts, animal shows, magic shows and much more! 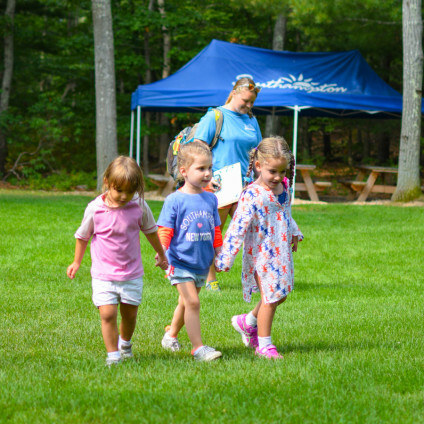 Parents of 2 and 3 year old campers can either select our Full Day or our Mini-Day programs. Our Mini-Day program runs from 9:00am – 1:00pm. Campers enrolled in our Mini-Day program can be picked up on the SCC buses in the morning or dropped off at camp (like our full day campers), and will be picked up by their parents at 1:00pm. Mini-Day campers have all the fun in half the time, including snack, daily instructional swim and lunch. Mini Day campers have all the fun in half the time!